← Car Rental Croatia: Cross-Border Card Necessary? Kayak! Whether a three-hour paddle around the walls or a full day kayaking to the Elaphiti islands, a kayak tour is the best way keep your temperature down to sea level. 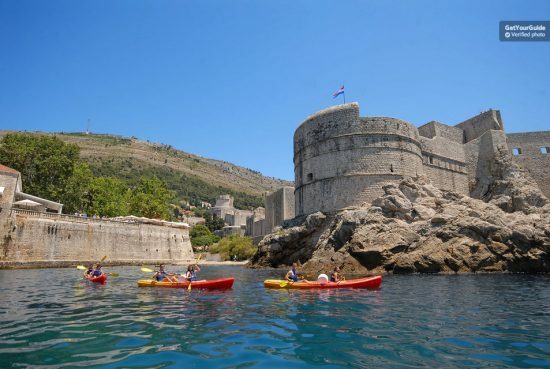 Check out all kayaking tours from Dubrovnik. Cruise! Swim, snack, doze and catch the sea breezes on a cruise. Sail out to the Elaphiti islands on a traditional karaka ship or enjoy a romantic sunset cruise in the cool of dusk. 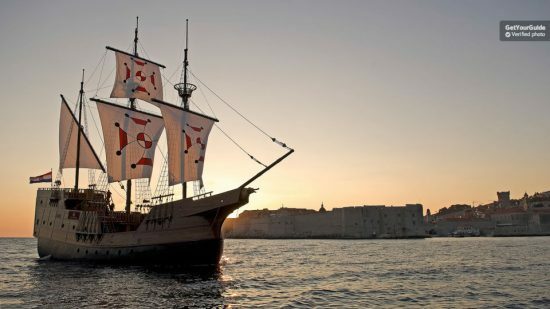 Check out all cruises from Dubrovnik. Raft! 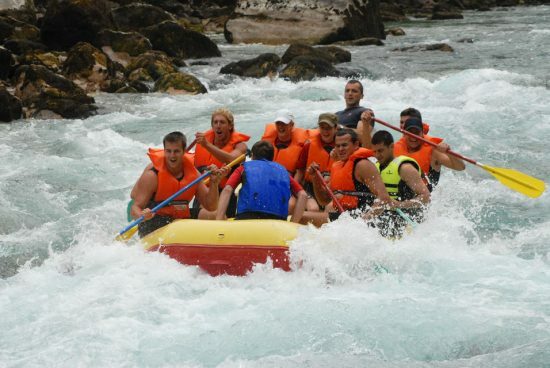 Say no to the swelter with a refreshing rafting trip on the Tara river in Montenegro. You’ll pass through the longest canyon in Europe and have time to swim and enjoy local dishes. Sick of the sea? Visit art! Few of Dubrovnik’s famous attractions are air-conditioned but the Museum of Modern Art is a glorious exception. The museum’s collection includes 2500 works by some of Croatia’s most celebrated artists in a magnificent air-conditioned building just outside town on Frana Supila. Chill in a cave! 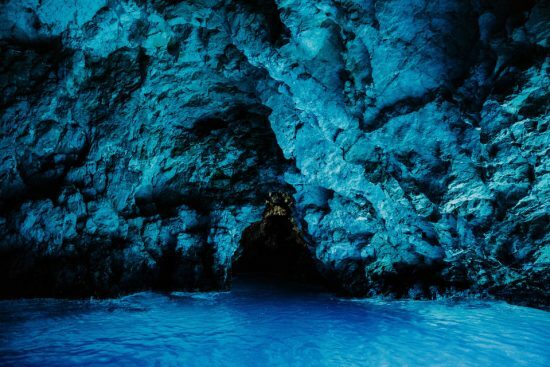 Take a speedboat to the spectacular “blue cave” in Bisevo, then explore the storied islands of Hvar, Vis and the Pakleni islands on a memorable “five islands tour“. Splash around waterfalls! 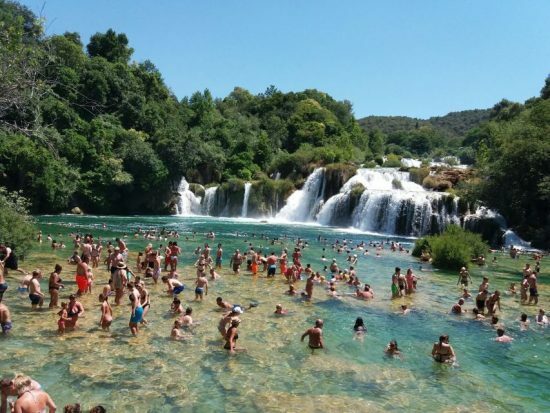 Gorgeous Krka Waterfalls National Park is its own cooling station with cascades, a lake you can swim in, ponds and the Krka River. 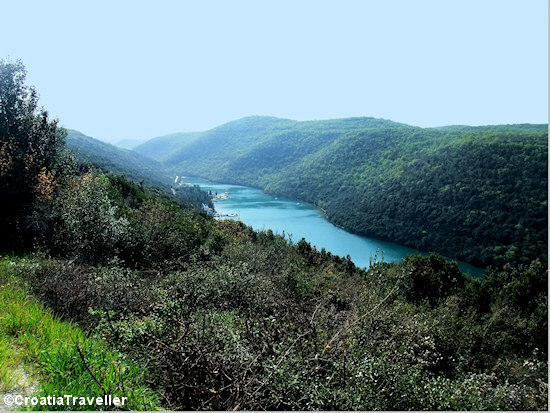 Go independently or book a Krka Waterfalls tour. Learn to Dive! Even if you’ve never strapped tanks to your back, this introduction to diving will get you underwater safely and relaxed enough to enjoy the varied underwater life. Take a hike! Woodsy Marjan Hill on Split’s north side is the perfect spot to clean the lungs and freshen the spirit. There are beaches at the foot of the hill and a network of shady trails that lead to the top. Feel Nordic in a fjord! The Lim fjord between Rovinj and Porec is a drowned valley between walls that can reach 100m. Banish sweat and sail to Lim from Rovinj exploring islets in the Rovinj archipelago along the way. Head for the hills! 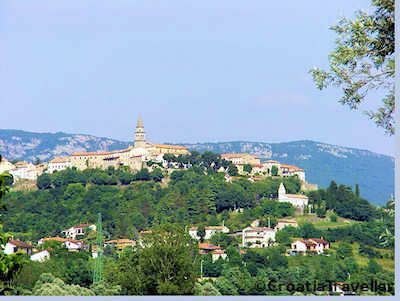 Istria’s hilltop villages–Motovun, Groznjan, Buje, Buzet— are medieval wonders perched on hills in Istria’s interior. They’re great places to catch a breeze and offer sweeping views over the countryside. 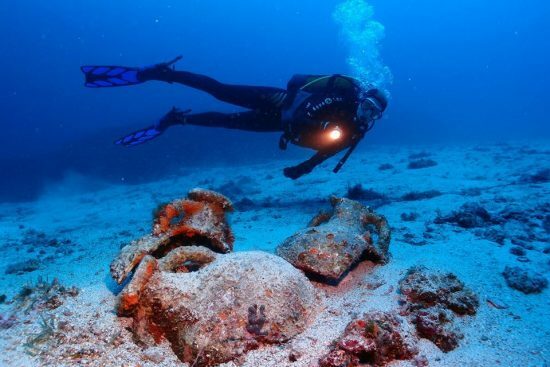 Even without a car you can check out these Istrian treasures from Porec. Slide around a waterpark! Keep cool in Aquacolors Waterpark just 2km south of Porec. This vast waterpark has 17 adrenaline-inspiring rides, a kiddie pool, a wave pool and lots of greenery. It’s great family fun! Go caving! Also near Porec is the chilly Baredine Cave, one of the few that’s open to the non-speleological public. In addition to the rock formations, there are special exhibits highlighting local culture and history.